Disclaimer: The recommended products in this article were chosen based on non-scientific methods. 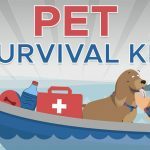 Though we do our best to give you good information on dog food and lifestyle, this article is not a replacement for veterinary advice. Finding the right diet for your dog can take some time. Usually, you will have to do so by process of elimination. This could mean buying bag after can after homemade food for your dog. Grain free dog food isn’t every dog’s bowl of chow but some pet owners swear by it. Are you ready to give grain free dog food a try? Or are you still searching for just the right kind? Let us save you some time and money. 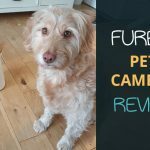 Here are our recommended choices for the best grain free dog food you can buy in the UK. 1 Why Should You Feed Your Dog Grain Free Dog Food? Why Should You Feed Your Dog Grain Free Dog Food? 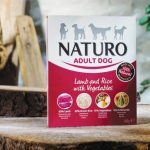 Pet food producers are aware of the demand for higher quality dog food and those that produce grain free dog food play right into this market. Grain-free dog food producers need to convince their customers that a grain free diet is indeed better than regular dog food. The impact of a change in diet becomes apparent in dogs relatively quick. So, dog food producers need to back up their marketing claims. Though not every grain free dog food product will put quality nutritious ingredients as their priority, there is a tendency for grain-free dog food producers to be more concerned about its nutritional value. Some dogs have difficulty processing grains and some dogs are simply more sensitive in their digestion. If you suspect that your dog has an intolerance of grains, then grain free dog food might be your answer. Gradually replace their regular meal with the grain free option and monitor for changes in buddy’s digestion. The slow-release energy found in a lot of grain free dog food helps to make your dog feel full longer. This is especially useful for dogs that are overweight. A grain-free diet could help you bring your dog back to a healthier weight. Before we dive right into our top picks, let’s clear the air on some common misconceptions about grain free dog food first. The most important misconception about grain free dog food is that grain free dog food is gluten-free. Grain-free dog food in the form of kibble is not gluten-free. Dog kibble requires a source of starch to combine all its ingredients into its crunchy form. Thus, grain free dog kibble will still contain gluten but the starch will be from a non-grain source. Common carbohydrates in grain free dog food are beans, soy and legumes like lentils. Supporters of grain free dog food will argue that the carbohydrates used in grain free dog food is healthier for your dog than the most common carbohydrates in regular dog food. Some argue that these grains are merely fillers and don’t have any added nutritional value for your dog. Others claim that dogs have adapted to a diet containing such grains since their domestication. If you’ve discovered that your dog is sensitive to gluten and you would like to remove gluten from his diet, then grain free dog food is not the solution. In fact, some grain free dog food products have an even higher carbohydrate content than regular dog food. This brings us to the second common misconception about grain free dog food. Grain-free dog food does not necessarily have a higher protein content. Wanting a more protein-rich diet for a dog is an often heard reason for pet owners to switch to grain free dog food. If this is your reasoning too, check the label carefully before your purchase. Not all grain free dog food has a higher protein content than its regular dog food counterpart. Now, it is time to introduce the top picks for grain free dog food that you can buy in the UK. Since each dog is different it is impossible to find a grain free dog food that is the panacea to all your dog’s dietary needs. Certain grain free dog food is more suitable for certain dogs. Then there are other dogs that cannot adapt to a grain free diet at all. This is why we have taken care to include a wide variety of grain free dog food. 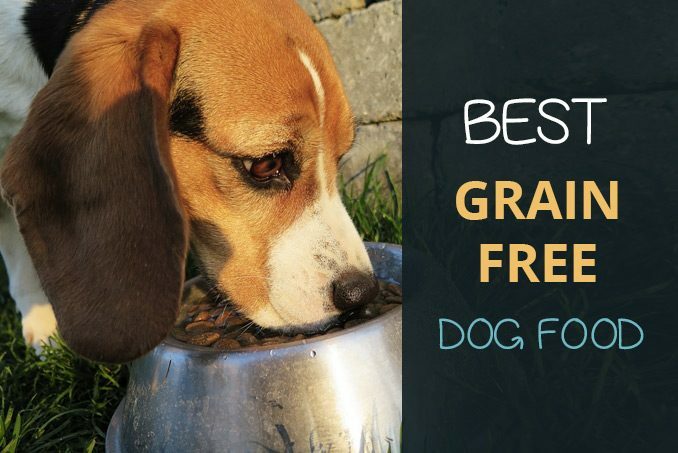 Through these reviews, you can decide which type of grain free dog food is likely to have the most benefit for your dog’s health. Read on to find which grain free dog foods we consider to be the best options. Arden Grange has developed a grain free dog food kibble especially suitable for dogs with sensitive skin. The main source of protein in Arden Grange Sensitive is haddock, a white fish that is easily digested by dogs. Haddock, like all fish, has a high content of Omega-3 fatty acids. Omege-3 fatty acids contribute to a shinier coat and can reduce skin inflammations. Some dogs are more prone to suffer from skin conditions due to a sensitive digestive system. Arden Grange Sensitive is composed of easy to digest proteins and added minerals and vitamins that soothes dogs with sensitive skin. Arden Grange markets itself as super premium pet food (they produce cat food too) with natural ingredients. 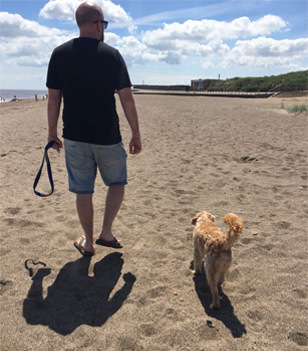 They even use natural ingredients such as rosemary and tocopherols, the active chemical of vitamin E, to keep Arden Grange Sensitive kibble fresh. Arden Grange Sensitive is only suitable for adult dogs. This grain-free option also includes chicken oil so is not suitable for dogs that are allergic to chicken. Have you adopted a puppy that is going to grow up to be a big boy? Applause is in order for you taking on a big breed dog. To raise your pup into a gentle healthy giant, you will need to feed him a diet with lean proteins to grow strong muscles. Applaws is a good start for your big breed pup. It contains 75% chicken and the remaining 25% is made up of vegetables and fruits. Yes, some fruits are a great source of vitamins for your four-legged friend too. Chicken is a lean protein that is easy for your puppy to digest. It is gentler on puppy tummies than beef and pork. Applaws Dry Puppy Food also contains a range of minerals and herbs with natural properties for a healthy growing pup. Again, some dogs are allergic to chicken. Scroll down to check our list of allergy symptoms in dogs. Some dog owners don’t like to feed their dog kibble because many kibble products contain fillers and binding agents. This is definitely not the case with Lily’s Kitchen. Lily’s Kitchen dry food is like gourmet kibble. It has a lower fat content and is rich with herbs and extracts for a holistic doggy meal. Lily’s kitchen is dedicated to keeping your dog healthy through its diet. The list of herbs and extracts in Lily’s Kitchen Adult Chicken & Duck Complete Dry Dog Food reads like an ethnic apothecary’s inventory. This complete kibble meal contains alfalfa, rosehip, chickweed, cleavers, goldenrod, nettles, kelp, celery root and milk thistle. It also contains roots of chicory, dandelion and Murdock. And the list still goes on. Of course, this kibble’s main ingredient is still chicken and duck. Fresh chicken and duck meat makes up 38% with an additional 4% of chicken liver. Nourish your dog with nature’s gifts with Lily’s Kitchen Adult Chicken and Duck Complete Dry Dog Food. Pooch & Mutt is like the hipster microbrewery of dog food companies. It is a small UK based business but with several speciality dog food options. Each type of Pooch & Mutt dry dog food was developed for a specific purpose using locally sourced ingredients. There is Calm & Relaxed with natural ingredients like chamomile to soothe your overly excitable or anxious dog. Poor digestion can also be stressful for your dog. Calm & Relaxed also contains probiotics and prebiotics which are stars in aiding digestion. This is a grain free option for those that want to influence their dog’s behaviour through diet. Slim & Slender is the type of grain free dog food to feed your dog when Rover is overweight. Aside from easily digestible chicken and sweet potatoes, Slim & Slender also contains ingredients that help your dog feel full longer. These ingredients are psyllium, pea protein and fat metabolising CLA. 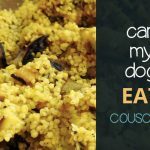 Get back to a healthier weight with this still nutritious dog food option. Health & Digestion is Pooch & Mutts answer to dogs that are extra sensitive to the ingredients in their meal. Just like Arden Grange Sensitive, Pooch & Mutt’s Health & Digestion product uses fish as it’s main protein source. Health & Digestion contains 45% salmon. Its other ingredients also all promote a healthier digestive system. Health & Digestion contains fibrous sweet potato, satiating psyllium, probiotics, prebiotics and gas absorbing ash. These ingredients combined will save your dog from digestive discomfort. Some breeds, like golden retrievers, are more susceptible to joint disease. For such breeds, but also for highly active dogs, Pooch & Mutt present Move Easy. Move Easy is a complete dry dog food meal with essentials for healthy joints. Just like in Health & Digestion, salmon is the main protein source at 45%. Fish is a great source of essential minerals for dogs while being a protein-rich food that is also easy on the stomach. Give your active dog the extra nutrients he needs with Move Easy. Harrington’s is yet another local UK company that produces its speciality grain free dog food in the UK. Their Grain Free Rich with Turkey & Veg has added salmon oil for omega-3 and omega-6 to give your dog a shinier coat. It also contains citrus extract for added vitamin C to support your dog’s immune system. Harrington’s Grain Free Rich in Turkey with Veg is what your dog needs to get through the winter. Harrington’s Complete Grain Free can be fed to your pups from as young as 8 weeks old. This is partly because its ingredients of lean protein and vegetables are highly digestible, even for the smaller ones. If you are specifically looking for a more protein-rich diet for your dog then Forthglade’s Complementary dog food Just 90% Meat might be the one for you. Forthglade’s Just 90% Meat is an additional wet food to be served with a kibble base or other mixer. Forthglade’s comes in bulk packages with three different protein options. In this case, the options are chicken, lamb and beef. This lets you give your dog some variety in their meals. A handy box to have in the pantry if your dog is the kind that can get bored of its daily chow. Forthglade’s also has another mixed box set with options that are gentler on your dog’s digestion. Forthglade 100% Natural Grain Free Complete Meal Meat Selection Dog Pet Food Multi-Pack contains three different protein sources that are easier to digest. These proteins are turkey, lamb and duck. To further aid digestion, this wet food includes vegetables packed with dietary fibre and vitamins such as sweet potatoes, carrots and peas. The Complete Meal Meat Selection is also enhanced with tummy friendly prebiotics and linseed oil. Just like the Just 90% Meat, the Grain-Free Complete Meal Meat Selection can be an additional source of protein for your dog. You can choose to mix it with a kibble or other dry dog food. Forthglade also suggests you give this protein-rich dog food as a healthy treat alternative. Switching to a diet without grains is a significant change for your best four-legged pal. A dog’s digestive system works differently to that of humans. Dogs will need more time to get used to a new food, especially when the change is in the proportions of food groups. The first step in introducing a grain free diet to your dog is to consult your vet. Does your dog have any underlying health conditions that could be affected by its diet? Is your dog at an age where it is safe to introduce a grain free diet? Young puppies, for example, cannot properly digest a high protein diet yet. Wait for your vet to give you the go-ahead before letting Bodi live grain free. With your vet’s seal of approval, you can begin to gradually replace your dog’s current meal with grain free dog food. Start with replacing 10% of her bowl’s fillings and increase this number with every meal time. This way your dog’s digestive system isn’t shocked. Introduce just one new food at a time so you can accurately monitor what is causing any possible changes in your dog’s health. If you’ve introduced a new food into your dog’s diet and you see any of the symptoms listed below, discontinue feeding the food. These are all signs of an allergy or general intolerance of the new food. As mentioned, not every dog is suited for a grain free diet. The debate is still on whether a grain free doggy diet is better for your dog. Perhaps the smartest way is to remember that each dog, like humans, will have different dietary needs. What will work for Fido may not be the healthiest option for Rover. Always, consult your vet when you are considering a significant change in your dog’s diet. The nutritional properties of a grain-free diet may have an effect on your dog’s health. If you notice positive signs in your dog like better digestion or a shinier coat, then the grain free diet seems to agree with your dog. 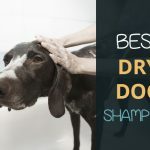 However, if you notice any intolerance of the food or hair loss and changes in demeanour, then a grain free diet does not seem to meet your dog’s dietary needs. 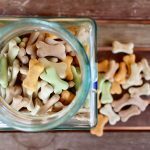 Feel free to experiment with different doggy diet options to find the one that works for your furry buddy. Check the labels for quality ingredients that would boost your dog’s health. Just remember to change the meal composition gradually. Hopefully, our grain free dog food recommendations will help you find the perfect meals for your pooch.